EthosCE is a learning management system (LMS) for continuing education. The application is designed to deliver and track continuing education. But what about creating the content to be delivered to learners? EthosCE is built with Drupal, which is a very popular content management system. This means that a lot of tools are available in Drupal for creating content. 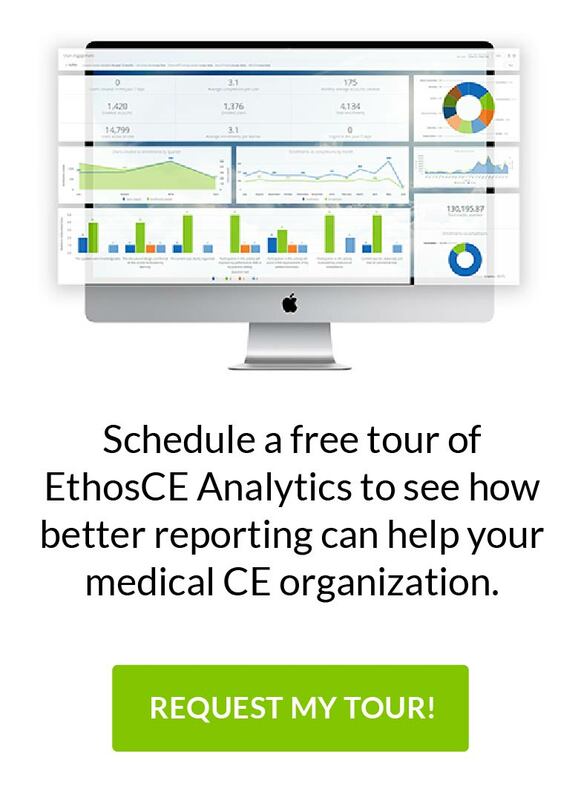 EthosCE provides support for playing or launching content authored elsewhere, such as Adobe Captivate, Adobe Presenter, Articulate Storyline, Camtasia, GoToMeeting, Lectora, WebEx, and many other tools. We also support SCORM 1.2 and SCORM 2004 and Tin Can using an ADL-certified SCORM engine. We’re content agnostic — if you can play it on the web, you can play it in EthosCE. However, in EthosCE itself we provide the following content objects which can be used to create e-learning content in EthosCE. There is no need to use an external tool. The course page is a single standalone page of HTML content. Course administrators can use this to enter content directly or embed content that exists elsewhere. For example a video from YouTube or Vimeo, iFrame, Flash animation, etc. Course administrators can format text, input images and tables using a rich text editor known as a WYSIWYG (what you see is what you get). Administrators can embed “tokens” in the course page (and other course objects). Tokens are replaced with data relevant to the user at the time the page is viewed. For example, a user’s name, membership number, expiration date, or the number of credits available in a course can all be put into a course page. In this way an administrator can create personalized content or allow a learner to confirm a profile field value before finishing and claiming and transmitting credit to an external provider. Simply viewing a course page is considered enough to “complete” the object as a course requirements, although time-based requirements can also be applied. The book is a series of pages linked together. Like a course page, course administrators can enter multimedia content directly or embed multimedia content that exists elsewhere. Tokens are also available. Books provide more control over criteria for completion. The course administrator can require a user to view all pages of the book or just a single page before completing the course. Time-based requirements can also be applied. Book pages can be grouped into hierarchal relationships to create chapters and other organizational relationships. Most EthosCE customers think first of the quiz module as a tool for assessing knowledge. However a few use it for content authoring. When using quiz with the “repeat until correct” option, quiz becomes an excellent tool for authoring case studies and delivering case-based learning. By using a full page of content in a multichoice or other quiz question type, the learner can move through a case study and must correctly respond to each question before continuing forward. Content and case narrative can be interspersed with decision making. An incorrect answer can provide additional feedback to the learner. In this way, the quiz module become the classic “decision-forcing” method of case-based learning. Drupal has a huge ecosystem of other modules that can be used for content creation. For example H5P is an HTML5 authoring format that we are watching closely for a possible integration with EthosCE. If you have a content authoring need send us a note. We’re very enthusiastic about using EthosCE to support course objects authored in Drupal to meet the needs of our customers.